Nothing quite speaks to us like a bright and sparkly bauble, especially when we’re fantasy shopping! This week’s Put Some Bling On It closets have had some gorgeous precious and semi-precious gem pieces in them. That’s no surprise when amazing jewelry designers like Jennifer Meyer, Irene Neuwirth and Delfina Delettrez come up in our shopping searches. Which of these precious pieces of luxury jewelry speaks to you the most? Have you start a closet this week? Make sure you head to www.BattleShop.co to LOCK YOU CLOSETS by 9 pm (EST) tonight for a shot at the Put Some Bling On It finals! Delfina Delettrez Never Too Light Tricolor Round Pearl & 9K Yellow Gold ring – $1,960.00 Saks Fifth Ave.
Cuff’em ladies! These days, no jewelry collection is complete without an edgy and/or elegant ear cuff. If you’re building Put Some Bling On It Closets at www.BattleShop.co this week, you’re in luck! There are tons of amazing ear cuffs in our search engine for you to choose from for your Closet. For our Closets, the Eddie Borgo rose gold zip ear cuff is the definite winner for some edge and the simple and elegant Jennie Kwon diamond and gold wire ear cuff is our pick for a toned down look. What’s your ear cuff style? Are you into the crystal bling or do you lean toward something with an edgy spike? Head to www.BattleShop.co and show us your CUFF LOVE today! Build a dream closet today with real clothes and you could win an AMEX gift card to fund your own shopping fantasy! Mix bold colored jewelry with neutral clothes in our PUT SOME BLING ON IT fashion battle this week! Start with a blank palette and bring the bling when you add pieces that sparkle. You’ll need a spending strategy because that $2,000 budget goes quickly. Mix costume and fine jewelry with clothing you find on sale to create your dream closet. The TOP 3 closets each week will take home AMEX gift cards! Head to www.BattleShop.co and put some bling on it today. Good luck! LOVE THIS LOOK? PUT IT IN YOUR BATTLESHOP CLOSET. The BattleShop team is no stranger to getting inked, but we know that a tattoo is forever and that’s a little too long for some people. 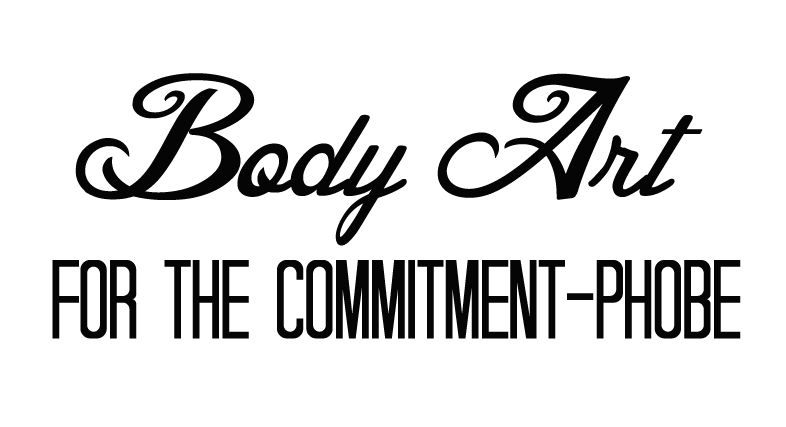 Well, good news commitment-phobes! The adult temporary tattoo game has been stepped up. You have to check out Beauty Marks from Mr. Kate. These gold-foil, hand drawn designs by the actress-turned-designer/stylist, Kate Albrecht, are touted as “The New Makeup” and look amazing on your face. SO GORGEOUS on! If you’re not taking yourself too seriously, there’s always the more traditional, way more super-awesome looking temporary tattoos from Tattly. These are not the standard rainbow peace signs and butterflies your kids get in goodie bags at birthday parties. They’re smart and expertly-designed. Check out all of our finds and try them out this summer! It’s June and the rest of the world is in bloom so why shouldn’t your jewelry be? 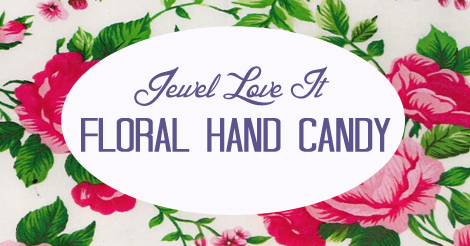 Make a statement with bright and bold floral-inspired hand candy. From luxury brands like Van Cleef & Arpels to everyone’s favorite, Topshop, there are tons of great styles for every budget. Take a look at a few of our faves out right now!